South Beach Party Boats will host their very first Annual Halloween Weekend Bash at the Sanctuary Sea Isles Friday, October 26 to Tuesday, October 30 each day from 3 p.m. to 6 p.m. with the exception of Saturday being from 2 p.m. to 5 p.m. 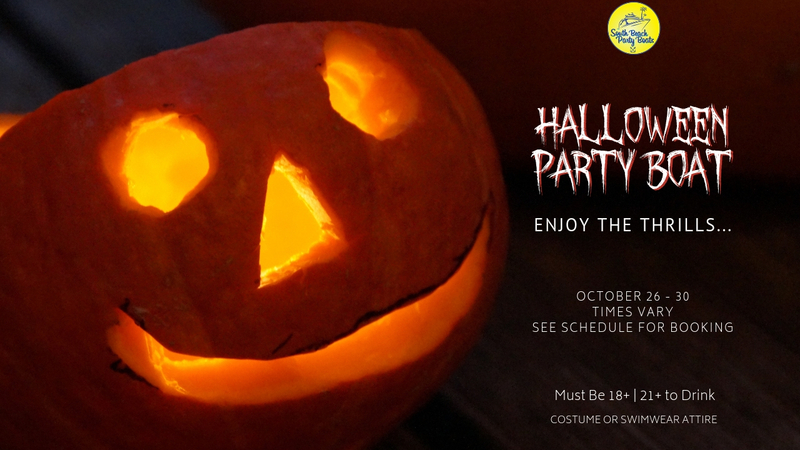 The End of Eden Island Party is a costumed Halloween boat party that will include BBQ and fun water sports. The dates for these excursions are as follows: Friday, October 26, Monday, October 29, and Tuesday, October 30 from 3 p.m. to 6 p.m. and tickets are $75. The fun continues on Saturday, October 27, where there will be a ‘Guys and Ghouls Halloween Bash’ on a Sailing Yacht Party from 2 p.m. to 5 p.m. The theme is Bay Watch, so make sure to wear red and white swimwear. Tickets are on sale for $85 per person. Both parties will include a menu of a fruit and cheese platter, chicken fingers platter, and bags of your favorite Halloween candy. Be sure to register on the website or by calling 786.529.7787 for more information. JoAnne has called South Florida home for the past 20 years. She’s currently pursuing a degree in Journalism and creative writing. In her off time, she loves boat riding, photography and helping others. Ahead of the holiday weekend, beaches in South Florida so far appear to be mostly spared the worst of a toxic red tide. All Florida Atlantic beaches have reopend. This morning parts of the north Miami-Dade County beaches were closed due to the Red Tide algae issue persisting on the Florida coast. Beach areas north of the Haulover Inlet are closed, this includes Bal Harbor, North of Haulover, Haulover Sandbar and into Broward County. Read the full Red Tide article in Newsweek. Did you realize that August is almost over here? That means the last weeks of summer in Miami are coming to an end. There is still enough time to create a few more summer memories without any tedious planning. Whether it be spending time with the family, having fun with friends, or relaxing by the sight of the sunset, South Beach Party Boats has a charter that will make your transition into the new fall routine smooth. Here are five great ways to end summer. Spending time with the family on a snorkeling excursion is a moment to remember. Kids love splashing in the water or jumping off the water trampolines. Plus the boat is equipped with snorkels and masks and life vests to see the beauty under the sea. The trip includes unlimited snacks and soda, while $3 beer and wine is available to adults. This is a great photo opportunity for lasting family portraits or just the latest live story on your Instagram feed! On a sunny afternoon, the Biscayne marketplace turns into water adventure kids crave and will be telling their friends all about when they return to school. Let your kid live and experience a family friendly water adventure. Celebrate your special events this year by booking a private charter. Let’s celebrate on a yacht, whether a wedding, birthday celebration or a corporate retreat. The private charter will be a hit with all your friends, family and colleagues and friends will be impressed by your choice of venue and will be talking about it at the office. Give us a call direct to see what we can do to make it extra special. Gather all your friends and venture out onto an island, where you’ll have a beach day all planned out. Unlimited beer, wine, and soda, with snacks and grilled burgers at your service. The sandy shores and palm trees are sure to set the tone a memorable end of summer festivities. Get your last summer selfies and celebrate the beginning of something new. Divide your fun from chilling on the beach, mingling in ultimate water sports, and being the life of the party on the deck as the DJ spins the record. You will never have a dull moment at this all-inclusive island party. What better way to end summer in Miami than with quality time out in the sun and water? A trip with South Beach Party Boats gains you access to stand-up paddle boarding, kayaking, floating water mats, trampolines and so much more. Call 786-529-7787 for more details or make reservations here. Last but not least, the best way to end summer is to cruise on the Key Biscayne Sunset Sail. 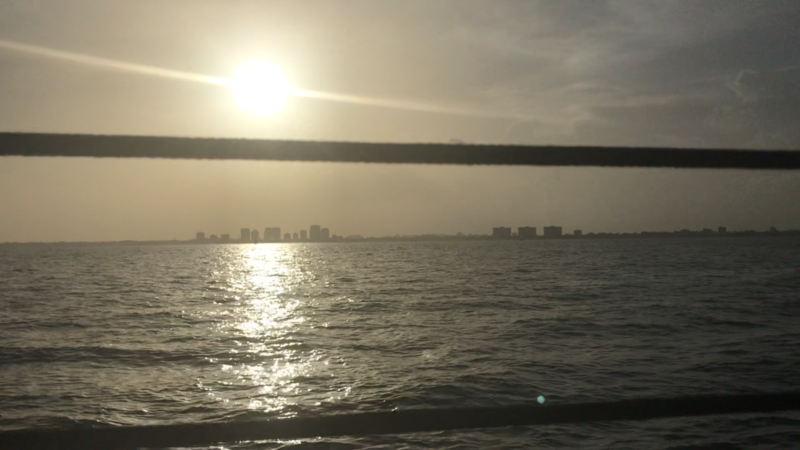 The Sunset Sail through Key Biscayne creates the perfecdt backdrop of a romantic evening for two or perhaps a pre-dinner sailing trip to kick off a girls trip. You will sail through the eastern coast of Florida to see Downtown Miami in a new way. Sip complimentary champagne as the sun sets in to forget all your worries and offer you a chance at new beginnings. The city of Miami is filled with magic and is truly unforgettable. Allow the sun to radiate its warmth as the winds and soothing waves make peace with summer and fall. JoAnne has called South Florida home for the past 20 years. She’s currently pursuing a degree in Journalism and creative writing. In her off time, she loves boat riding, photography and loves helping others. 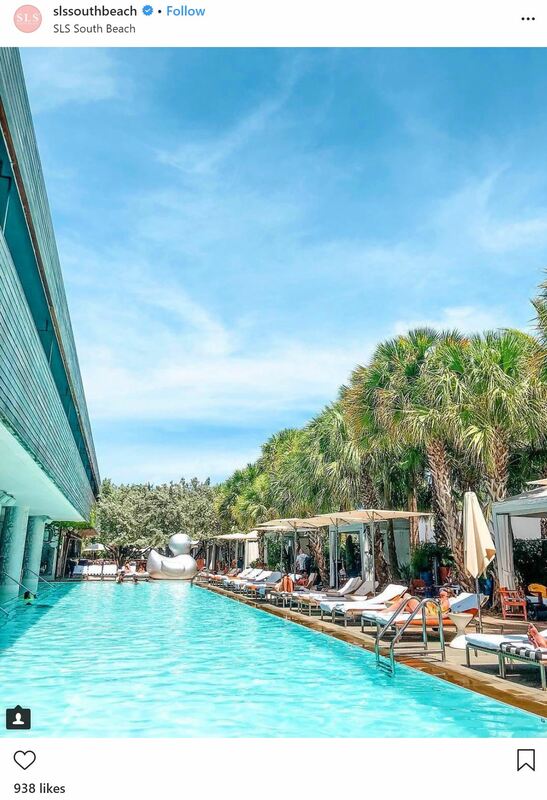 Miami on a Labor Day weekend is a beautiful sight to see, and what better way to experience the best part of Miami than with a guided itinerary? Because of the city proximity to the Caribbean islands such as Cuba, Dominican Republic, Puerto Rico, and the Bahamas, it’s the place to visit for the lovely beaches, ideal weather, and island vibes. No wonder why it’s rated one of the top cities to visit in America. We have the perfect weekend itinerary to make your Labor Day memorable. Check it out! 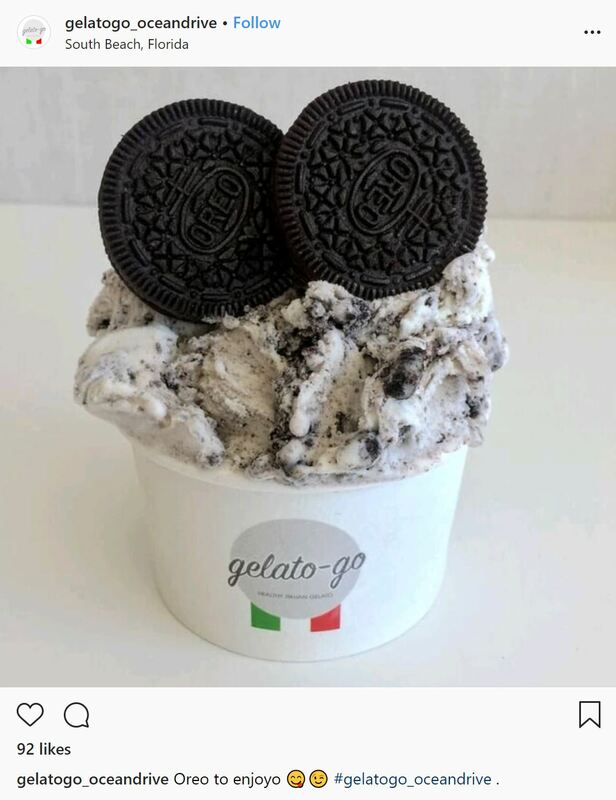 Cool down with some famous ice cream at Gelato-go on 5th street and Ocean Drive. Italian ice-cream that is freshly served with every order. After you’re done shopping, you’ll grab a bite to eat at a Lincoln Road Restaurant. There is a variety of American, Argentinean, Italian, Seafood, Asian, Chinese, Steakhouse, Cuban, French, Mexican options that will grab your interest, so be sure to stop at one while walking around the mall. Later, you’ll get back to your hotel and wonder what’s next, but do not fret, start Labor Day Weekend in style on the Island Party Boat with barbeque at South Beach Party Boats. Paddleboard, dance on the deck to your favorite jams, and sip unlimited beer and wine. Oh, and you’re allowed to bring your own bottle and snacks. Come ready to party and have a good time. There are trip times from 12 p.m. to 3 p.m. and 3 p.m. to 6 p.m. If you have a party of seven or more, you can request transportation ahead of time with the South Beach Party Boats party bus services at 786-529-7787. For live action, have a beach day on South Beach, along Ocean Drive and Lummus Park. Spend a day out on the beach, rent beach chairs and umbrellas, or bring your own beach gear. Either way, you’ll enjoy this day out. After laying out on the beach, check out Ocean Drive’ strip for restaurants and bars such as the Clevelander, Wet Willies, Wild N’ Out for interesting places to eat, drink, and talk with friends. Later tonight, you’ll want to go to popular nightclubs nearby. There are Club Dream, Story, and E11evens to name a few. Either one you go to, you’ll have a great night here in Miami to remember. Visit Brickell City Centre’s Farmer’s Market. The farmer’s market is open every Saturday from 10 a.m. to 3 p.m. and located along the pathway between 7th and 8th street. Parking is available at 98 SE 7th street Brickell, FL 33131. After exploring the Farmer’s Market, take time to browse the Brickell City Centre Mall, which is a minutes walking distance from the Farmer’s Market. You’ll enjoy the high-tech architecture of this mall and the high-end uniqueness of it all. Experience Miami’s beautiful sunset with the best seats in town on a Key Biscayne Sunset Sail at South Beach Party Boats. Wear light clothing, as you will not be getting in the water, but will be relaxing to the sounds of the ocean and sipping complimentary champagne. Be prepared to take lots of photos and walk the Biscayne Marketplace afterward, to either grab a bite to eat or enjoy the live music, which usually plays every weekend. The check-in time for the Key Biscayne Sunset Sail is between 5 p.m. to 5:45 p.m. and the trip is from 6 p.m. to 8 p.m. If you happen to be at the Bayside Marketplace ahead of check-in time, use the time to explore the shops, buy souvenirs, and tour the uniquely divine scenic marketplace full of downtown Miami flavor. 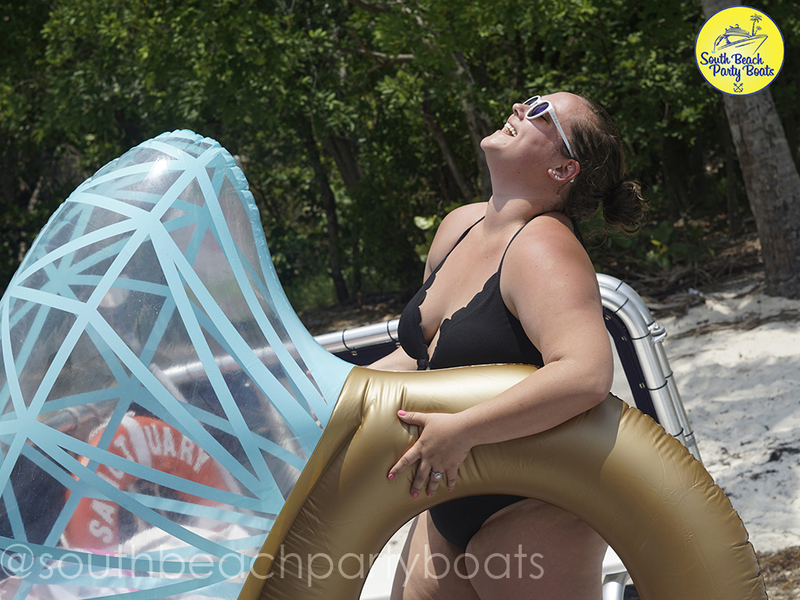 Incorporate fun with a cookout party on a private yacht at South Beach Party Boats. Cruise on the Miami bay, have drinks and play ultimate water sports with your friends. You’re also allowed to bring your own bottle and food as there are a bar and snacks available. This yacht has a morning trip time from 10:30 a.m. to 1:30 p.m. and an afternoon trip time from 2:30 p.m. to 5:30 p.m. Either one you choose, you’ll still have enough time to experience Miami’s nightlife in Wynwood. Once you’re all freshened up, stop by Brickhouse Sunday’s happy hour between 8 p.m. and 11 p.m. where there will be delicious food, good music, and a great atmosphere to play games. Bring your friends and make it a night to remember. Once you’re awake, chill by the poolside. Miami is known for its lavish rooftop pool parties. One of the popular hotels to stay at is at the Fontainebleau, which is known for their beautiful cabanas and enchanting poolscapes. To take it up a notch, rent a cabana and have your food and drinks be served to you and your friends as you all relax poolside. There is also the Delano, SLS South Beach, The Confidante Miami Beach, which also offer menus to enhance your poolside experience. The wettest, wildest party on the water this weekend is out for a great cause to benefit the Ice Hockey Florida (IHF) non-profit (501C3). This organization was started in Oct 2016 to provide resources for youth of all backgrounds to participate in and enjoy ice hockey in a positive and wholesome environment. Their hope is to enable the youth to nurture the love of ice hockey through each stage of their development and into their adulthood. IHF has raised over $50,000 of financial support through corporate and individual donations and has provided over $45,000 of financial support and assistance to over 100 different families spanning seven different hockey organizations. You can do your part by enjoying a party on the water with beer, wine, and refreshments as you dance to the beat of our DJ spinning the hottest music. Cruise past the beautiful homes of Millionaire’s Row on our The Ultimate Party Boat, pass through Biscayne Bay and head out to Marine Stadium where you will pull up to a private island. Splash down through the water slides on the upper deck, or climb down the ladder of the lower deck and relax in the sun on a 20-foot giant floating water mat. Explore the island, or get adventurous on a kayak,stand-up paddle board or Jump from a Water Trampoline. Percentages of your great time will go to aid the IHF. The Spirit Del Sol will be used for this voyage. The Spirit Del Sol is US Coast Guard certified and insured for up to 140 guests. We will set sail on August 11th at 12:30pm until 4:30pm for a celebratory cruise. The $79.99 donation for guys and $69.99 for ladies will include an open bar of soda, water, Domestic beer, California red & white wines, and light appetizers. This will be a great day of fun on the water with multiple activities including: a water trampoline, a giant water mat, noodles and a water slide. It will be a great time to catch up with friends and enjoy a DJ, spectacular views of downtown Miami, Coconut Grove, Key Biscayne and best of all, an amazing way to celebrate the weekend while helping this great organization! For more information or any questions, please contact Bobby at 786.529.7787. 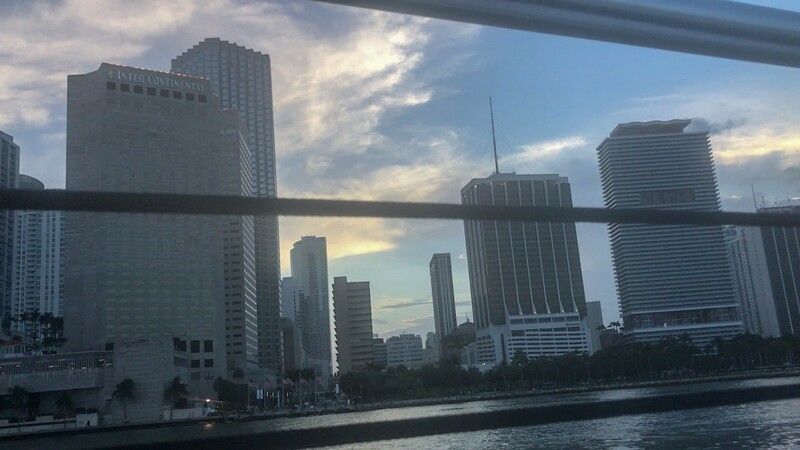 A Downtown Miami sunset is an extraordinary and scenic sight to gaze upon, especially when viewing from a luxurious sailing catamaran overlooking the heart of Miami. Who needs a movie when there is all this beauty around? There are a multitude of yachts and other boats that flood the Bayside Marketplace’s dock, but the Caribbean Spirit stood out with its pristine red and white exterior. The catamaran is a large and very comfortable yacht with grand, high sails were hard to miss that birds found a peaceful resting spot. Following the safety precautions from the captains, we sailed away from the Marina and walked onto the beautiful white deck. We were greeted by smiling bystanders on other boats, to whom we waved excitedly back to. As we passed the prestigious Miami hotel, the Intercontinental, the sun began to show itself. It peeked from behind the clouds, while a rainbow formed toward the outer edges. Guests onboard surrounded the left of the deck to get alluring photographs. The calming island reggae music set the tone while the relaxing winds swept across our faces. Joyfully, we gazed at the serenity and immersed ourselves in the peace that surrounded us. The sun was slowly revealed as it moved across the horizon. A pop sound signaled champagne bottles being opened by the boat crew as complimentary glasses of the bubbly were passed. We were now watching the sunset in true Miami style. The Cruise continued towards the direction of the sun. The charter passed by an open ocean where we could see the sun tucking beneath the horizon, gleaming its radiant reflection upon the waters. We returned to the Marina, presented by a well-lit festive marketplace of vibrant restaurants and live music. It was the perfect Saturday night to grab a bite to eat and enjoy the live music at Bayside. You haven’t fished for your boating outfit yet, did you? And America’s birthday is just around the corner, too. Look, I know it’s late, but you still have plenty of time to piece together an outfit that makes you shine out in the sun and water. It doesn’t matter what your personality or style is, right below are some ideas you can use to get you looking right. Sun rays are beaming and it’s going to be scorching hot so let’s find the perfect pair of sunglasses with a cute hat to keep your face from melting. Add a pair of denim shorts and a cool shirt and you can’t be hot and bothered, even in Miami. Mix and match, but keep it classic and minimize your accessories. This way you won’t have to worry about losing an earring. Want to save some coins? Cop a one-piece swimsuit. Put on a pair of boyfriend jeans or shorts on top of your suit and volia! You’ve got yourself an insta-outfit. By doing this, your day look effortlessly turns into an evening look, which takes your style from boat to shore. You’ll be comfy while watching the fireworks. A summertime staple — light, airy and easy to put on. When you decide to get in the water, you can quickly take off the dress overhead and put it back on later in no time. But you can still look festive. Shorts and button down tops will help catch the winds from the sailing all day until the fireworks. Boating shoes are ideal for walking along the dock so that you will not slip when the floor is wet. All in all, the Fourth of July is all about celebration. And with these ideas, you are sure to be the life of the party — stylish and comfortable. Book online at www.southbeachpartyboats.com for your July 4th excursion or call us at 786.529.7787. Organizing fun activities for your Bachelorette Boat Party can be a daunting task. If you plan a trip with South Beach Party Boats, you will maximize your vacation and minimize the time it takes to plan it. Avoid the hassle with these following tips to help ensure a smooth vacation. Trips fill up fast, especially during the summer months. 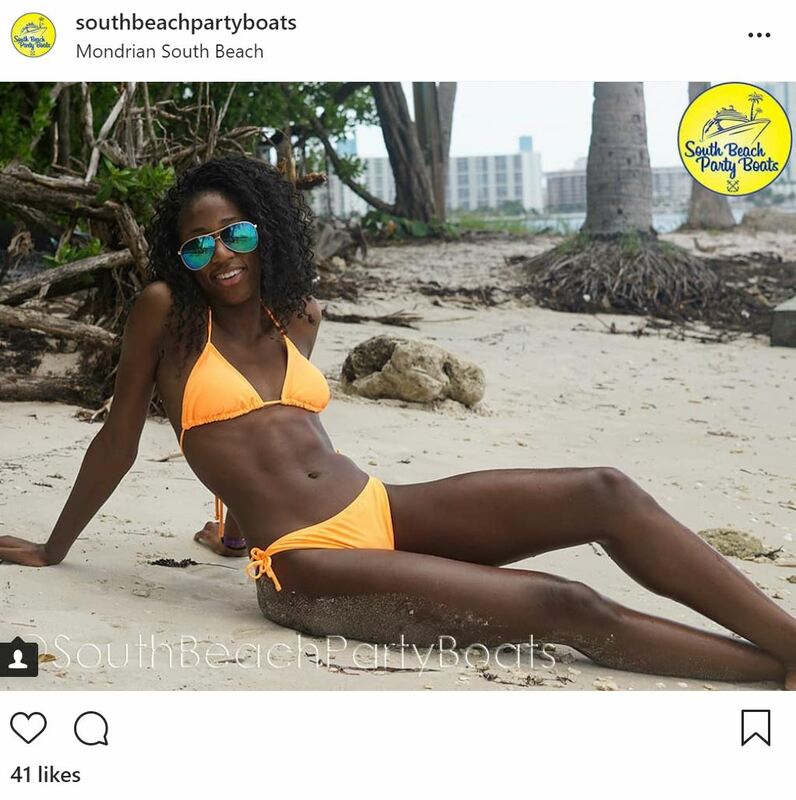 With South Beach Party Boats, not only do they provide transportation (for a small fee) but also a fun and cool way to enjoy the Miami sun, the trip is all-inclusive. Meaning that snacks, water, sodas, Domestic beer and California wine plus water sports are included. On the Island Party Boat with BBQ charter, you can fill up with a hot, steamy burger and burn off the calories on the trampoline, paddle boarding, or kayaking. Matching swimsuits for this great Bach Weekend Fun! Come up with a cool color scheme. For example, maybe you want all your bridesmaids to wear black swimsuits while the bride wears white. Or, have all the bridesmaids color coordinate to the wedding colors. This way, the photos will come out bomb! Be sure to request one of the in-house photographers is booked for your charter so you’ll have beautiful photos for your memories and not even worry about who is taking photos for you. Make sure to pack the essentials such as beach towels, a pair sunglasses, flip flops, sunscreen, a cover up, hair tie or anything that you would normally bring on a beach day. You can even bring cute matching floppy hats for you and the entire Bride Squad. Along with the essentials, to jazz up your bachelorette boat party, feel free to bring props. As previously mentioned, there are photographers available to be on site to capture beautiful memories. Be sure to take advantage of the opportunity by practicing your poses. Props can include flamingo cups, matching floppy hats, water floaties, a veil, or anything that helps tell your bridal story! 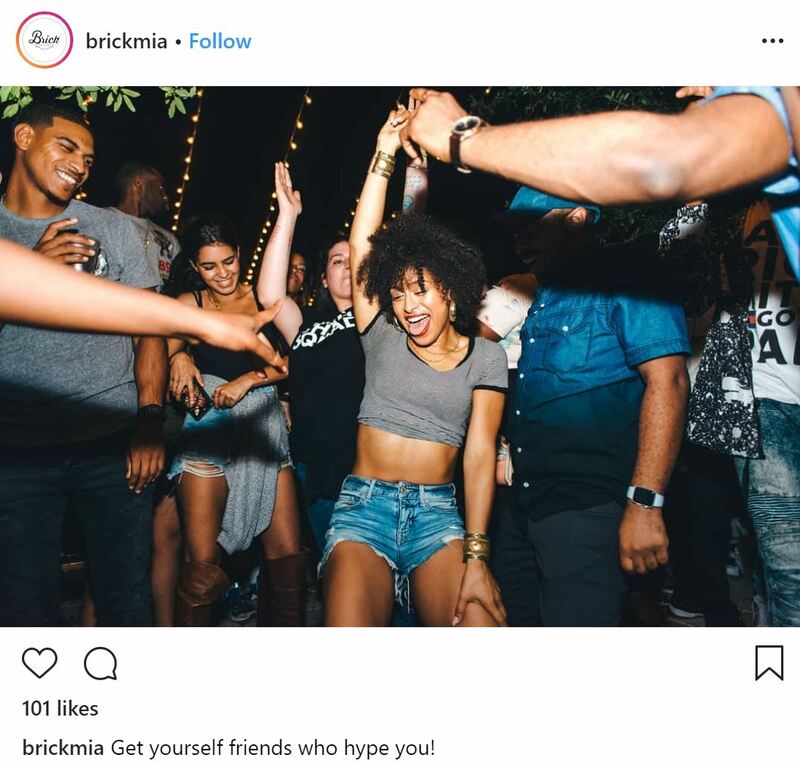 The trip takes off from one of the South Miami docks and if you’re in need of transportation, there is a party bus available to pick you up from your hotel. This is especially ideal since Miami traffic can be unpredictable. It is best to avoid it completely by scheduling transportation with the South Beach Party Bus beforehand. 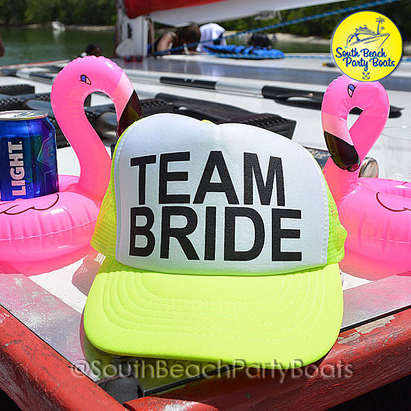 By booking with South Beach Party Boats, you’ll maximize your bachelorette boat party by including fun activities, food and transportation all-in-one, which will minimize the time it takes to plan it. Follow these tips and you’re sure to have an unforgettable experience! Book online at www.southbeachpartyboats.com for the next charter or give them a call for your Bachelorette event at 786.529.7787. Join us this Fourth of July on a sailing yacht for an unforgettable night of food, fun, fireworks, drinks and more. We depart from Downtown Miami at 8pm then sail into Biscayne Bay to enjoy the festivities. After a short cruise we will anchor for the incredible firework displays. From our vantage you will have the opportunity to see up to five explosive shows, from South Beach, Key Biscayne, Downtown Miami and more. Included for the event will be sodas, light appetizers, Domestic beer, and California red and white wine. You may bring your own liquor if you choose. Allow us to spoil you, family and friends with an incredible night on the water. Our dress code is open for all to enjoy from shorts and sandals to suits and evening attire, celebrate America’s Independence with an evening on the water! Last weekend, I went on a boat ride and landed on a blissful island with evergreen palm trees. The dolphins giggled as we arrived onto the sandy shore which marking the path to paradise. The island was mine, so I thought. I got to take amazing photos, play water sports, and meet cool new people. With one of my new friends Audi. After all, it is the little things that create great experiences. My gallery is now filled with selfies and videos for memory. Another reason why to choose South Beach Party Boats, is for the tunes. Everyone is happy and having a good time. Captain Ryan cruises, First mate/Grill Master Tito cooks up some BBQ, while the DJ keeps the people lit all afternoon. The sun radiates love as the ocean breathes new life. Off the boat and in the ocean, fire on the grill calls everyone to surround the chef with bright eyes. And don’t feel bad if you’re a vegetarian, Tito has mad skills and can whip up a veggie burger in no time, so you’re good! There is no drama, it’s good vibes only, and people gather from all over the world. A fun time indeed! If you are into sports, you can hop on a paddle board, go kayaking or sunbathe on a floating mat. I went kayaking with my new friend, Audi. Also, rode ever-flowing waves on the paddleboard. I fell a couple of times, but finally understood how to use balance. Definitely used this time to get a good workout in. And the fun doesn’t stop there, a water trampoline and a floating pad. Can you say cannonball!! The tour sets sail off Bayshore docks. If you don’t have a ride, pay an extra ten bucks and the party bus can scoop you up to and from your hotel! So all you’d have to do is sit back, relax, and listen to music. 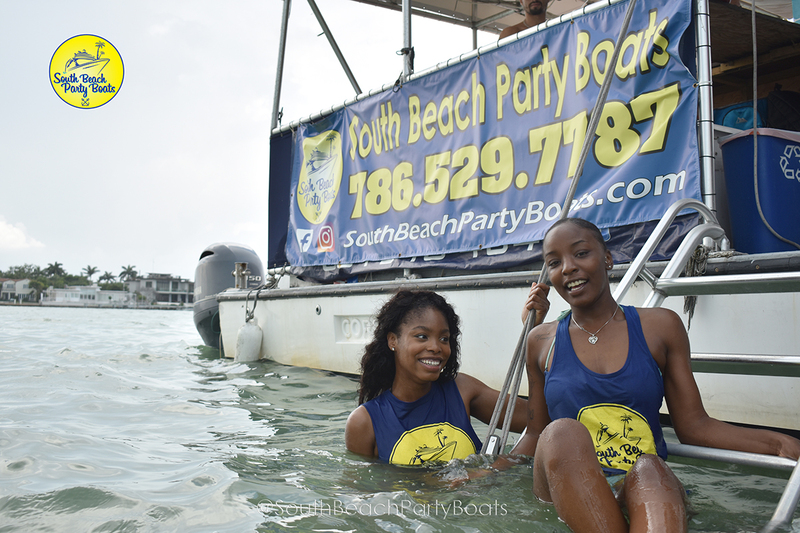 I was pleased to know that South Beach Party Boats provides transportation to its guests. #5 Last of all, fun, fun, fun! Bring your towel and a smile and your good to go. Book online at www.southbeachpartyboats.com for the next charter or give them a call for a private event at 786.529.7787.